Information for paddlers on gear, technique and other stuff. Once you have been paddling for a while it is advisable to buy your own paddle. There is nothing worse than coming to a race and finding your favourite club paddle is already gone! There are a variety of paddles on the market. Talk to other paddlers in the club and see if they might let you try out their favourite hoe. On the Resources page there is a list of suppliers. Locally we have Shane at KiteSurf Nelson who stocks Quick Blades and Tai Paddles. He sometimes has a paddle he can lend out for you to try. This video from Kialoa paddles describes how to measure the right length of paddle. 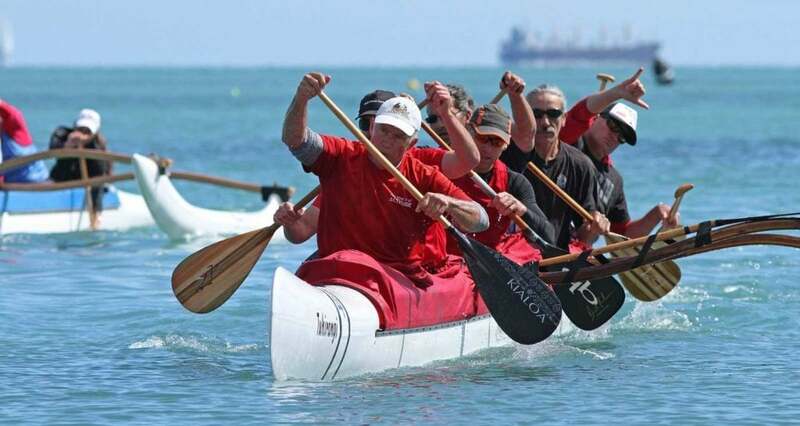 A huli (capsize) is when the waka capsizes. We have regular capsize drills so our members know what it feels like and what to do. The most important thing is listen to the steerer.